Book now: St Vincent at O2 Apollo. Celebrated multi-instrumentalist St Vincent is due in Manchester to mark the release of her new album, Masseduction. 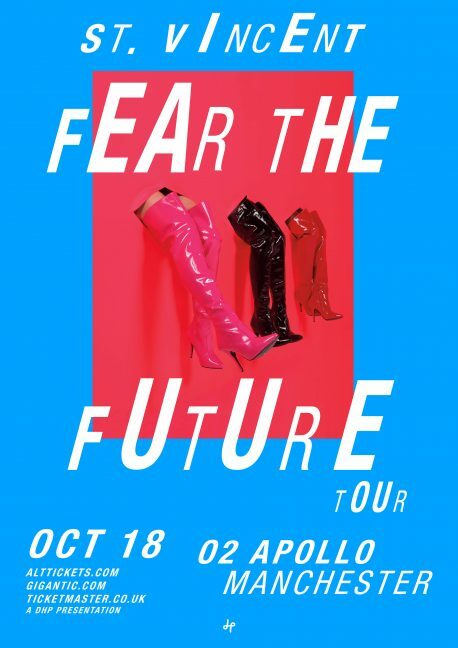 The tour, given the moniker of ‘Fear The Future’, may overtly feed from the era’s socio-political uncertainty, but injects a creative angle all of her own avant-pop ilk. The stylistic video for new single Los Ageless was revealed at the start of October – and with the wheels of her musicality moving apace, this autumn is a chance to catch the Grammy winner in full flight.